THREE Southern District horses will go up against each other at Canterbury on Wednesday. Experienced campaigners Leucura and Zero To Ten will be joined by Tim Donnelly’s exciting stayer Soleado in the $40,000 Benchmark 67 Handicap (1550m). Three of the seven starters hail from the Southern District. Leucura is rated the pick of the chances at $4.20 in early markets. Leucura was a winner of the Parkes Cup two starts ago, and followed that up with a fourth placing at Canterbury two weeks ago. 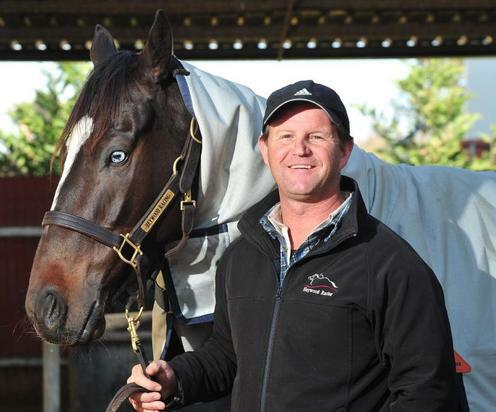 Trainer Chris Heywood expects his horse to run a big race. “I expect he’ll go well,” Heywood said. “He’s super, feeling good within himself and it’s a similar sort of race to last time. Soleado has the top weight of 60.5 kilograms and will be ridden Tye Angland. He runs over a more suitable trip after finishing ninth in his first-up run for Donnelly over 1400m at Wagga. It will be a drop in class for Zero To Ten, who finished ninth in the $100,000 Eremein Handicap (1800m) at Rosehill earlier this month. Christian Reith takes the ride on the Jim Scobie-trained Zero To Ten.